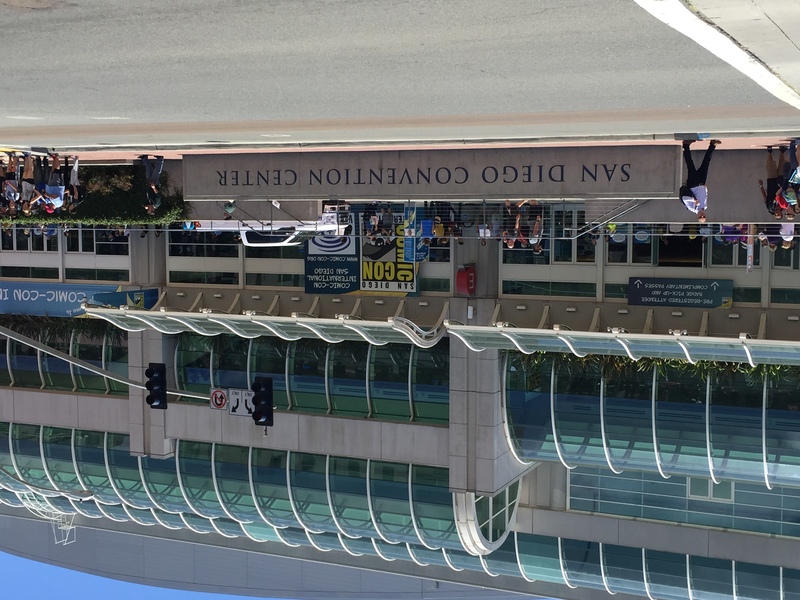 You would think I would be San Diego Comic-Con’ned out but here I am writing about this year’s SDCC one last time. That sounds super dramatic but it’s not suppose to sound like that. Anyways, even though we posted our highlights already which you can find here, I’d like to do a quick retrospective of my return to the show. And, if you haven’t read my experience of the multiple days I attended the con, you can check those posts here: Wednesday, Thursday, Friday, and Saturday. This year’s Preview Night commemorated my first year that I snagged up all of the exclusives that I had on my list! And on Preview Night of all days! The first day (afternoon) of SDCC is known to be the “exclusive-hunting” day and my experience was just that. What really helped was that I had a plan and a priority list. 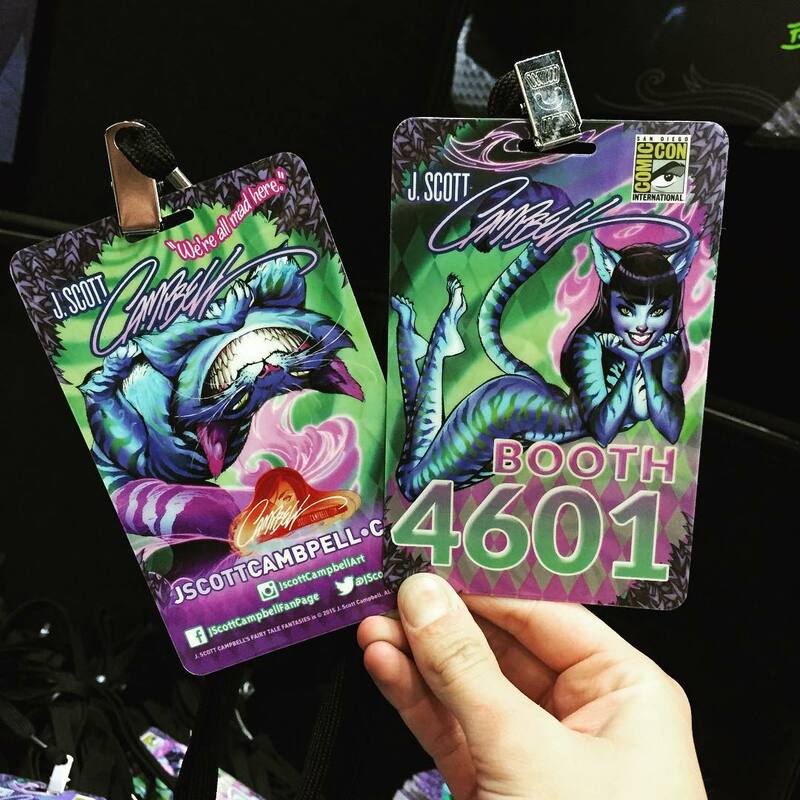 Granted that priority changed an hour before I marched into the convention floor thanks to monitoring J. Scott Campbell’s Instagram feed and learning he was including a limited edition laminated lanyard card with purchase. So obviously he jumped up in my priority list. The night went without a hitch and some decisions were made to forgo purchasing an exclusive because a vendor didn’t have his items during Preview Night. I made the choice not to come back the other days because it felt like destiny was nudging me to use my time in other endeavors which paid off with the Doctor Who limited signing draw, but I’ll get to that. In terms of the lows of Preview Night, I kind of regret not attending the Conan O’Brien live taping with the Shortboxed crew. A guy in front of my in the Quantum Mechanix exclusive line had come from the taping so in hindsight, I could’ve done the same but unsure if I would’ve gotten all my exclusives during Preview Night. Hard to say at this point but I’m happy with how Preview Night turned out. 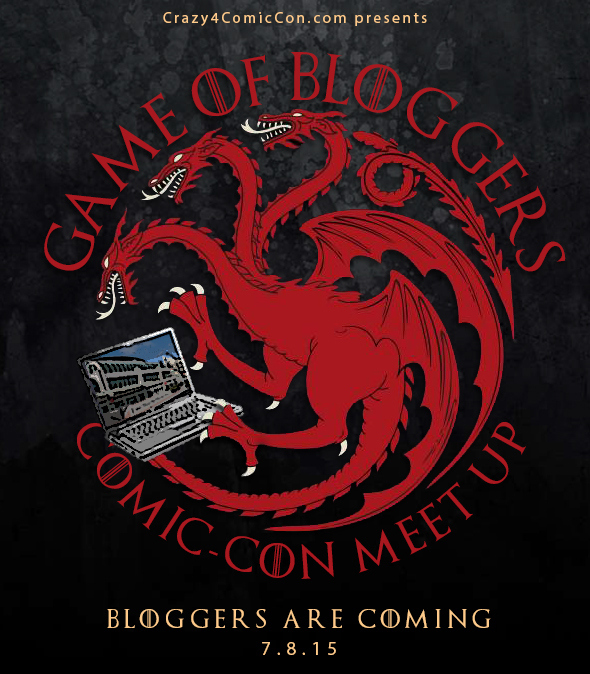 Another regret of this night is not meeting Tony Kim aka Crazy4ComicCon at this Game of Bloggers meetup. To say I was tired after Preview Night was an understatement but I think I missed out from meeting other content creators that actually read Shortboxed. That’ll be on my to-do list next year! I don’t know what it is but I’m super lucky when it comes to drawing signing tickets. From what I can remember, I’ve only missed out on 1 WB signing ticket draw and 1 AMC limited ticket draw. And for me, that’s pretty impressive. This year I was able to draw 2 winning tickets; one for The Doctor Who cast and one for Conan O’Brien. I wrote at length about both of the processes of drawing these two tickets but I want to focus on the Conan signing at the WB booth. I actually missed the signing. I’m not proud of it and feel that it’s the one aspect of my experience that is a negative. But I was lucky enough to plead to a sympathetic ear. 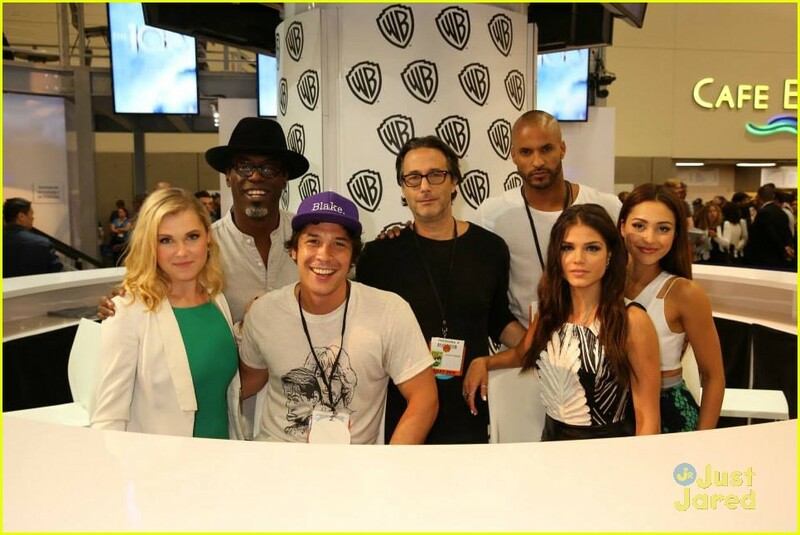 One of the guys who worked for the WB booth, who was also at the drawing line that morning, allowed me to participate in the next autograph signing which happened to be for a CW show that I haven’t watched before, The 100. But one of the reasons why I love hunting for autographs is for the chance to chat with the celebrities. So I chatted with the actors from a show I didn’t know anything about. And it was glorious! They all were thanking me for supporting and allowing them to come to SDCC and they told me their Comic-Con experience has been awesome so far. Because of this cool experience, I actually started to watch the show and by golly it’s amazing! It has a Lord of the Flies and Battlestar Galactica feel to it. So color me surprised that because of this failed Conan O’Brien signing, I added a new show to my DVR list and now have a new autographed poster to put up in my man cave. A SDCC buddy I met a few years ago in line always posts pics and such on Instagram about his con family that he’s met through the conventions he’s attended. And I love that idea of forming this awesome group that you see at cons and stay in contact via social media. I realized that my con family isn’t necessarily the people I’ve met at cons but actually my crew that I go to cons with. We’ve known each other for a long time and typically don’t see each other much in our daily lives because of how busy work is and the responsibilities we have to our families. But it’s the con family that I hope to share moments like this year’s SDCC with for many years to come (and when our kids are old enough, to make a family tradition out of going to different cons in different states). 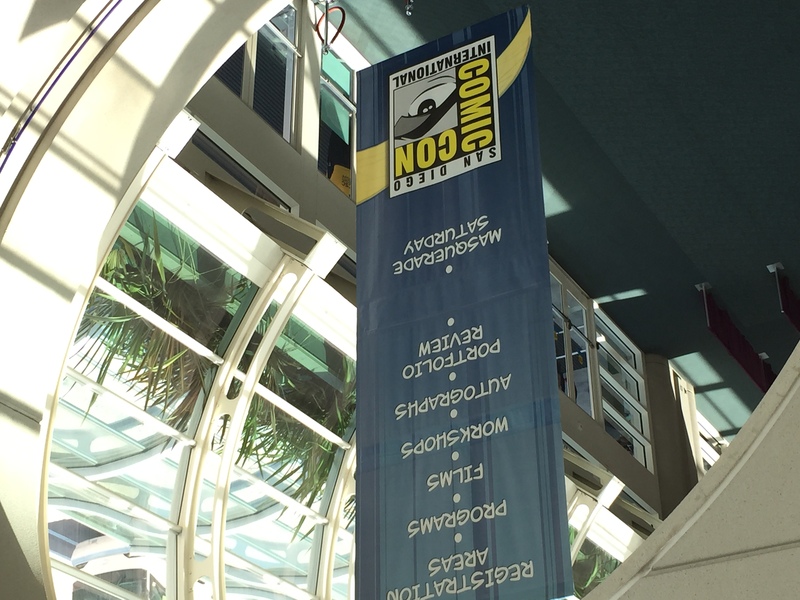 Right as my plane took off from San Diego, I already had started to think about SDCC 2016. Coming back to San Diego after a year away taught me a lot of stuff and I’m going to apply what I learned to next year’s show. Even though getting tickets, hotels, and parking passes seem like a Herculean effort every year, it’s worth the 4-days plus Preview Night experiences. For now, I revel in my good fortune and awesome experiences from this year’s pilgrimage to San Diego. 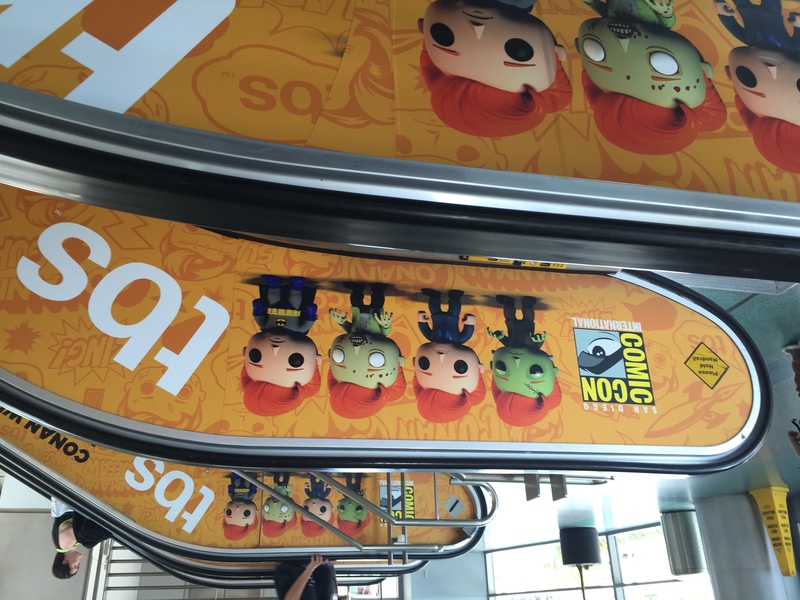 Is it SDCC 2016 yet?